Exhibition "Mocumentary: Reality Is Not Enough"
Educational programme co-organizer: Museum Exhibition Complex "Manege"
The third installment in the MIFF Media Forum Expanded Cinema series – Mocumentary: Reality Is Not Enough presents the cutting-edge selection of contemporary art works in the genre formed in-between cinema, video and media art. The exposition curated by Olga Shishko (art director of Moscow Media Forum of MIFF) is compiled of the masterpieces of the modern artists from Russia and abroad, utilizing pseudo documentary and mockumentary strategies in their creative practices. Mocumentary: Reality Is Not Enough poses the question of blurred borders between fiction and reality in the era of media addiction, information pollution and uncritical consumption of data and images. Mocumentary, a genre long-established and well-known to the audience, gathers significant attention among contemporary artists as an active critical strategy. It first appeared in cinema more than 50 years ago as a one hundred per cent fiction made with accordance to the documentary rules and parameters of the quality historical evidence. 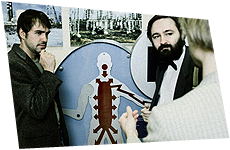 Just a well made documentary film, a work of mockumentary contains a story supported by facts, witness interviews, recordings from the scenes, material evidence and expert opinions. But in contrast to the qualitative study characteristic of the documentary film, mockumentary replaces all the elements of the narrative with false or parody to create a comic effect and becomes a false story from beginning to end — events that never happened, fraudulent facts, fake experts and counterfeit records. Mocumentary: Reality Is Not Enough focuses on application of the mockumentary practices both as a creative technique and as a means to make an artistic statement. In contemporary art the genre provides an opportunity to question the truth behind the visible and the transmitted and to deconstruct established historical paradigms. With the help of fakes and simulations modern artists play out the wide-spread myths, false stereotypes and generally accepted facts. The main goal of the experiment is self-criticizing of the audience, propaganda and misinformation in media, the finer points of the social contract and painful historical experience. All 20 artists presented in the framework of the Mocumentary: Reality Is Not Enough exhibition work with imperceptible transition from reality to its distorted reflection in the age of television boom of media consumption, as well as the growing passivity of the audience in fact analysis. They represent a critical overview and an active political position, creating the new legends by means of video, editing, special effects, and dramatizations. And in their hands all the tricks of the documentary turn into an unbeatable weapon of art play for rewriting history, exposing the complexes and definitions of pain thresholds of individuals, society, eras and nations. Mocumentary: Reality Is Not Enough displays the cutting-edge contemporary art research in the man's place in history, the substitution of reality by skillfully crafted illusions and the boundaries between the historical and political statement. German documentary filmmaker Harun Farocki will present in Moscow the sensational project previously exhibited in MoMA — Serious Games. 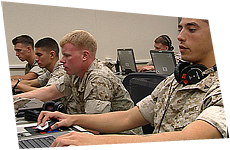 In the focus of his study the artist placed computer games, strategic simulators used in the U.S. military combat training and PSD psychological rehabilitation. In this documentary research Farocki’s main interests are the absolute imbeddability of adults in the virtual world, and the dual nature of the world preparing an individual to the horrors of war, and, at the same time, purging them. 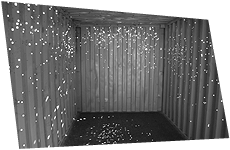 In her Container Serbian video artist Milica Tomić recreates the image of a non-existent incident of a war crime. The subject of her work was the Taliban massacre in northern Afghanistan in 2001, when thousands of troops from the Afghan side were placed in cargo containers and died of thirst, suffocation, injury or mass execution. Milica Tomic recreates the scene of the crime, traveling across continents with the container placing in it the victims of murder or tragedy - the people perished due to the earthquake in Armenia, or the civil war in Yugoslavia. Every time the artist makes a dramatization, using accurate data on weapons, shooting techniques and the number of victims found at the scene Afghan disaster. In Russia, she will continue the Container project, working on this project with the students of the Open School Manege/MediaArtLab. Swiss artistitic duo of Monica Studer and Christoph van den Berg creates an illusory 3D reality, collecting the real pictures, collective memory, nostalgia and the dream of a perfect holiday in the Alps. Their online establishment Alpine View Hotel is a paradise 3D-holiday one can reach in the Internet, exploring idyllic Alpine landscapes, interiors and coordinates by clicking the mouse. Parodying the narrow-minded aspirations and tourism advertising, artists speak of consumption as primarily an acute desire for unique experiences. Continuity, a forty-minute film by German-Israeli artist Omer Fast, was one of the highlights of the dOCUMENTA exhibition last year in Kassel. Omer Fast works with the theme of gain and loss, recreating unrealistic scenarios of the only son’s return from the war in Afghanistan. The role of the deceased son was performed by call boys, doing it each in their own way and giving parents the emotions of convergence and estrangement, both sexual and psychological. Artist is interested in trauma and the healing effect of its constant repetition as one of the main attributes of human affection. The Atlas Group, a fictitious organization of the US-Lebanese artist Walid Ra'ad is an alternative view of Lebanon modern history, which is being hushed up for the sake of political propaganda and state. 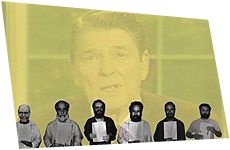 In the video Hostage / The Bachar Tapes Raad gives voice to the prisoner – Souheil Bachar, the Lebanese who spent three months in captivity along with the U.S. troops, whose capture sparked a major military scandal between Iran and the United States. 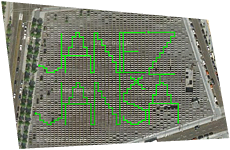 The boundary between publicity, paranoia, and freedom of speech is being scrutinized by the three Slovenian artists who in 2007 together changed their names for that of the stirring modern politician and the country’s prime minister Janez Janša. In their documentary My Name Is Janez Janša they discuss how the life changes when one arrogates the name of one of the most important people in the country, what happens to the identity and whether it is a political or artistic gesture. Having studied the web simulators, the American artists Nonny de la Peña and Peggy Weil created the Gone Gitmo online project — a re-creation of Guantanamo prison in an alternative online game universe.They invite everyone to experience the situation at Guantanamo from within a model of the prison -and to experience prisoner's lack of access to basic habeas rights For over a decade de la Peña and Weil have been studying the growth in potential of online and digital media, games and data visualization, including the line between hoax and history and the possibility of feeling empathy from immersion into the non-fiction stories. Russian artist Dmitry Venkov actively works in the mockumentary genre and is primarily interested in the ambivalence of the documentary concept and use of information as means of deception, media delusion and manipulation. His work America ​​is a witty fiction, making fun of the cinema research on the role of the dairy industry in the Second World War victory. In his Chinese Room Alan Turing talks about an imaginary mad cybernetics explorer and his scientific experiments in the Soviet era. By weaving into his works the conspiracy theories, Cold War paranoia and settling historical scores, the artist is trying to understand the nature of the false fact interpretation of the s and meta myths creation. 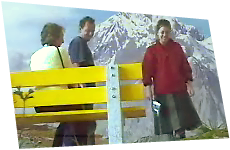 Video installation Cognitive Broadcast created by the Russian artist Dina Karaman works with the problems of popular science as a symbol of progress, the Soviet myths about the all-powerful science as part of the just world order in socialist model. Dina examines how patchy experiment and research data takes the form of reliable knowledge, trustworthy dialogue and progressive paradigm inspired by the immense legacy of Soviet science and technology broadcasts.